Beginnings of Daytona Photo Picture Classic Cars for sale & Classifieds - Buy Sell Classic Car & Classic Truck Classifieds. 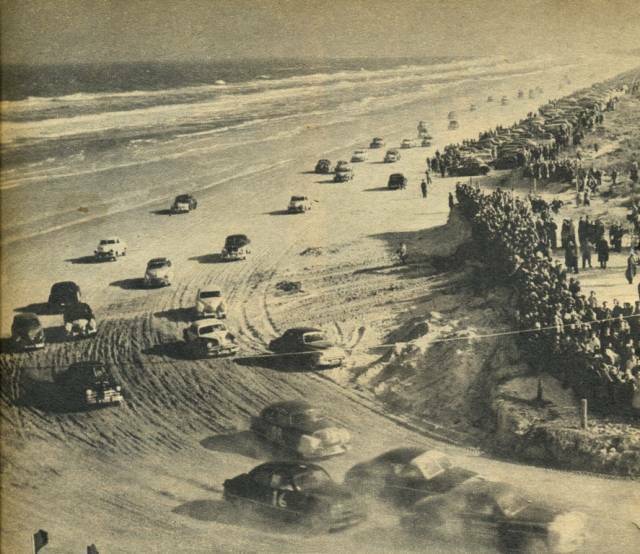 The 160-mile Grand National Circuit race at Daytona Beach. Wonder what happened to that car on the inside that klattu mentioned. The car on the far inside is headed for a flip ! COOL! I'd love to see one plow into the water! Are they racing on the beach?